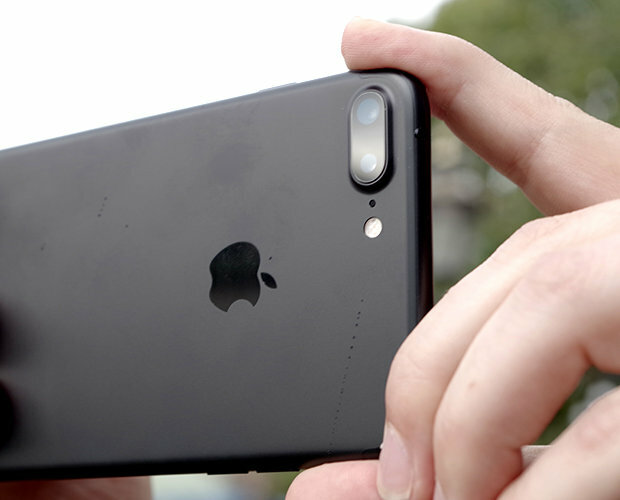 The #Apple #iPhone7Plus is currently the top iPhone model that you can get in the market today. That is until its successor will arrive which is said to be sometime in September of this year. Until its successor arrives consumers are going to be quite content in using this particular model which is the first iPhone to sport a dual rear camera system. Although this model doesn’t have any major issues there are instances when certain problems can occur which we will be addressing today. In this latest installment of our troubleshooting series we will tackle the iPhone 7 Plus unable to call out issue & other related problems. Problem: I have a new Iphone 7 plus , I have had the phone for a few weeks without any issues . Today I am unable to call out , send messages , I have 3 bar of service , wi-fi is showing full , when I try and send whatsapp message I get a connection disc spinning around but no connection . The phone is fully charged , i have taken the sim out and replaced it , held the power button and others button to reset and still unable to use phone , i have a blue line at the bottom of the phone about half an inch wide the full width of the screen . Can you help please ? Solution: What you will want to do first in this case is to check your SIM card with another phone. If the same issue occurs when the SIm is inserted in another device then the problem could be account or SIM related in which case you need to contact your carrier regarding this matter. In case the issue does not occur when the SIM card is placed in another device then you should follow the troubleshooting steps listed below. Check if the issue still occurs after performing a step then move to the next one if it does. Perform a hard reset by pressing and holding the Sleep/Wake button + Volume Down button for 10 seconds. Backup your phone data then do a factory reset. Setup your phone as a new device. Before installing any apps try to check if the issue still occurs. Problem: Using Iphone 7plus But often facing network problem, like – it’s showing me “no service”… or even if its showing network, no call is coming… I did reinsert the sim, did reset network settings, & other suggestions in many forums… But nothing worked for me… everytime i face this problem, i need to reboot my phone to come back to network again which can’t be a solution actually… and i didn’t face this prob from the beginning, rather after i upgraded my ios to 10.3.1. I work in the same carrier company which i am using now. So i did check with carrier also, and found no problem and when i switch my sim to other devices, its working fine. I use iphone since iphone 3s, but never had problem like this. Please support. Solution: It looks like you have already performed several troubleshooting steps which doesn’t really fix the problem. Right now you should consider doing a factory reset on your phone. Make sure to backup your phone data before performing this step and set up your phone as a new device once the reset is done. Don’t install any apps yet on your phone once you have finished but instead try to check first if the issue still occurs. If it does then this is most likely a hardware related problem already in which case you need to bring your phone to a service center and have it checked. Problem: I am having a problem on my new iPhone 7 plus under AT&T. I can’t retrieve my voice mail messages. I go to voicemail and it says enter my password I don’t know what that is and I go to settings click on the phone button and try to change voicemail password and it won’t let me change it. Please help I have a voice message and would like to listen to it. Solution: In order for you to change your voicemail password you should follow the troubleshooting steps listed below. Call 1 (800) 331-0500, at which point you will be prompted to enter your mobile number. Enter your full 10-digit phone number, including the area code. You will be given several options. Press “3” for voicemail assistance, and then press “3” yet again to change your password. Enter your billing zip code when prompted. At this point, the all-too-familiar message will pop up: “Password Incorrect – Enter Voicemail Password.” Don’t worry! You didn’t do anything wrong. Lastly, you’ll need to enter your mobile number once again, but this time, enter your 7-digit phone number, not including the area code. You now have changed your password. Another way to do this is to log in to your myAT&T account from a browser then change your voicemail password from there. Solution: The best thing that you can do right now is to do a factory reset on your phone. Make sure to backup your phone data before performing a reset. Once the reset is done set up your phone as a new device and don’t install any apps yet. Check first if the issue still occurs. If it does then you will need to bring your phone to the nearest Apple store for servicing. Solution: If your phone is stuck on verifying update then the best thing to do is to do a hard reset by by pressing and holding the Sleep/Wake button + Volume Down button for 10 seconds. If this doesn’t work then you should restore your phone using iTunes.